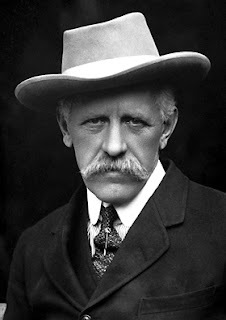 Fridtjof Nansen was a Norwegian scientist and explorer, who later took up the cause of humanitarianism and had a crucial impact on Armenians in the 1920s. He was born on October 10, 1861 near Norway’s capital Christiania (nowadays Oslo). His mother died in 1877, and his father moved to the capital with his two sons. In 1881 Nansen entered the Royal Frederick University of the capital to study zoology. After a five-month sea voyage to study Arctic zoology in 1882, he did not resume formal studies, but accepted a post as curator in the zoological department of the Bergen Museum. In 1888 he defended his dissertation on the central nervous system of certain lower vertebrates. In 1889 he accepted the position of curator of the university’s zoology collection and got married to Eva Sars, the daughter of a late zoology professor. They had five children. His wife died in 1907 and Nansen remarried in 1919. His scientific interests led him to famous expeditions, such as one across the Greenland icecap in 1888 and another to reach the Northern Pole in 1894-1896 (he got closer than anyone else at the time) with the ship Fram. During the twenty years following his return, Nansen devoted most of his energies to scientific work. He accepted a professorship in zoology at the university (1897) and in 1900 became director of the Christiania-based International Laboratory for North Sea Research. He was involved in the process that led to the separation of Norway from Sweden in 1905 and appointed Norway’s first minister in London (1906-1908). He retired from the diplomatic service in 1908, and at the same time his university professorship was changed from zoology to oceanography. Between 1910 and 1914 Nansen participated in several oceanographic voyages. After the creation of the League of Nations following the end of World War I, he became president of the Norwegian League of Nations Society. His advocacy helped ensure Norway’s full membership of the League in 1920 and he became one of its three delegates to the League's General Assembly. At the League’s request, Nansen organized the repatriation of around half a million prisoners of war, stranded in various parts of the world between 1920 and 1922. In September 1921 he accepted the post of High Commissioner for Refugees. His main task was the resettlement of around two million refugees displaced by the upheavals of the Russian Revolution, and the urgent problem of famine in Russia. The lack of documentary proof of identity or nationality for many refugees prompted him to devise the Nansen Passport, a form of identity for stateless persons that allowed refugees to cross borders legally. He devised the scheme of population exchange between Greece and Turkey in 1922-1923. He was awarded the Nobel Peace Prize for 1922. 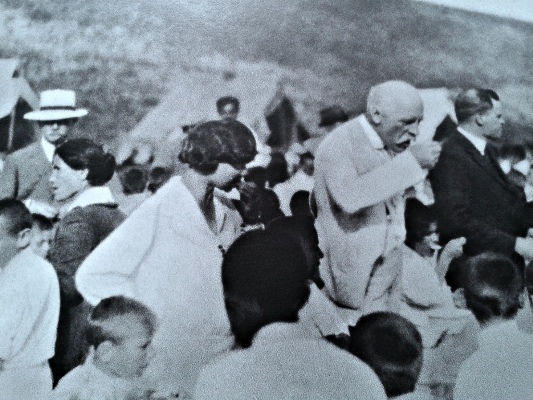 From 1925 onwards, Nansen spent much time trying to help Armenian refugees who were survivors of the genocide. His goal was the establishment of a national home for them within the borders of Soviet Armenia. His main assistant in this task was Vidkun Quisling, the future Nazi collaborator and head of a Norwegian puppet government during World War II. After visiting the region, Nansen presented the Assembly with a modest plan for the irrigation of 36,000 hectares (139 square miles), where 15,000 refugees could be settled. The plan ultimately failed, because the money to finance the scheme was not forthcoming. After his visit to Armenia, Nansen wrote the book Gjennem Armenia (“Across Armenia”), published in 1927, and translated into English in 1928 as Armenia and the Near East (1923). In 1926 Nansen was elected Rector of the University of St. Andrews, in Scotland, the first foreigner to hold this largely honorary position. He died of a heart attack on May 13, 1930, and was buried at his home in Christiania. Immediately after his death the League of Nations set up the Nansen International Office for Refugees to continue his work. The Nansen Office secured the agreement of 14 countries to the Refugee Convention of 1933. It also helped to repatriate 10,000 Armenians to Armenia and to find homes for a further 40,000 in Syria and Lebanon. The Office was awarded the Nobel Peace Prize in 1938. In 1954 the League's successor body, the United Nations, established the Nansen Medal, now called the Nansen Refugee Award, which the U.N. High Commissioner for Refugees annually bestows upon an individual, group, or organization “for outstanding work on behalf of the forcibly displaced.” In 1968 Soviet Armenian filmmaker Sergei Mikaelyan directed a film on Nansen’s life, Bare et liv – Historien om Fridtjof Nansen. A street in Yerevan bears the name of the great Norwegian explorer and humanist.